Shrot Brief of Company Bussiness:- Jayaswal Neco Industries Ltd steel plant product portfolio include speciality Steels like Hot Rolled Bars in Rounds and Squares, Wire rod in Coils and High Strength Leaf Springs in Flats. Jayaswal Neco Industries Ltd have a production capacity of 140,000 MTPA, and Jayaswal Neco Industries Ltd is INDIA largest manufacturer of Iron & Steel castings. Jayaswal Neco Industries Ltd manufacturing ferrous castings for Automotive, Engineering & Construction division. 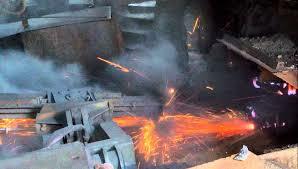 ( Source of this information is company website which you may visit here:-http://www.necoindia.com/products/iron-steel-products/ ). Promoters pledged their 12.03 % holding So this is the reason why this recommndation is catagarized under penny share tips because in my home page www.maheshkaushik.com I put stocks which full-fill all of my criterias like no any pledged stock. 5. Base price of Jayaswal Neco Industries Ltd is 9.66 So After the recent breakout of today ( 20 Aprail 2016) stock still traded 18.38% Below from base price So I think from 8.00 to 8.50 this stock is a great buy for long term. Click here to download last 3 year closing price and closing price graph of Jayaswal Neco Industries Ltd.
7. Jayaswal Neco Industries Ltd net sale per share of Fy 14-15 is 47.25. 9. Book value of Jayaswal Neco Industries Ltd is 34.73 So in book value term this stock is a value buy at CMP. 8. Overall I think Jayaswal Neco Industries Ltd is a good long term penny stock and due to recent breakout this stock is also good for short term trading . 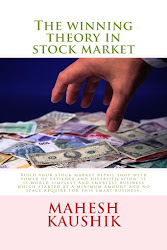 I think you already knew that I can not provide target and stop-loss for my multibagger recommendations and penny stock recommendation you can calculate fundamental target with help of formula given in my book. 9. 200 DMA of Jayaswal Neco Industries Ltd is 7.90 So at CMP 8.16 Today Jayaswal Neco Industries Ltd give a positive breakout above 200 DMA and close @8.16 ,So I think due to steel and iron sector revival and this positive breakout this stock may give us decent retruns. 10. My recent updates :- My Short Term Trading Calls. 12.Discloser:- I Mahesh Chander Kaushik author of this research report is an existing research analyst and passed NISM certification for research analysts. I am also registered under SEBI(RESEARCH ANALYSTS) REGULATIONS, 2014 ( SEBI Registration Number INH 100000908 ) hereby disclose about my financial interest in the subject company and the nature of such financial interest:- 1 Me and my associates or relatives have not hold any share of Jayaswal Neco Industries Ltd so my personal interest is not included in this stock. 2. Me and my associates or relatives have not any actual/beneficial ownership of one percent or more securities of the subject company ( Jayaswal Neco Industries Ltd). 3. Me and my associates or relatives have not any other material conflict of interest at the time of publication of the research report. 4. Me and my associates or relatives have not received any type of compensation from the subject company(Jayaswal Neco Industries Ltd) in the past twelve months. 5. I am not served as an officer, director or employee of the subject company ( Jayaswal Neco Industries Ltd). 6. I have been not engaged in market making activity for the subject company (Jayaswal Neco Industries Ltd).